Your final divorce judgment was entered – you come out of the courthouse feeling relieved, anxious, and excited. But it is not over yet. People often believe entering the final divorce judgment is the end to their case and they do not have to take any other steps. However, there are several steps every person should consider taking, if applicable, once your divorce judgment is finalized. If you changed your name pursuant to your marriage, it is not automatically reverted back once you are divorced. If your divorce judgment does change your name back to a former or maiden name, you will have to obtain a certified copy of your divorce judgment and file the appropriate paperwork with the Social Security Administration (SSA). You can go to your local SSA office with proof of identification to get the necessary application or mail the application to your local office. You should also make appropriate changes to your driver’s license and accounts in your married name. If your divorce judgment provided that you are to refinance a residence and remove your spouse’s title or transfer title of any other asset, you should ensure you do that within any time periods provided by your divorce judgment. Similarly, you should enter any Qualified Domestic Relations Orders necessary to transfer rights to retirement accounts, if necessary. If your judgment is silent on the amount of time you have, you should transfer title within a reasonable time period. It is likely, especially if you have had a long marriage, that you designated your ex-spouse as the beneficiary to accounts in your name. You will want to do your due diligence to follow up and change the beneficiary status on these accounts, if not barred by the terms of your divorce judgment so your ex-spouse does not wind up receiving the contents of these accounts when you die. Following the reasoning outlined above, you should make sure to execute a new will and new Powers of Attorney for Healthcare and Finances. This again helps ensure that your assets do not mistakenly go to your ex-spouse and your ex-spouse does not end up being the person designated to make important healthcare decisions for you. If you are obligated to pay alimony or child support through your employer and you switch jobs, you should let your new employer know that you will need your wages garnished to continue satisfying your child support obligation. This will prevent any gaps in support payments and any alleged arrears in the future. 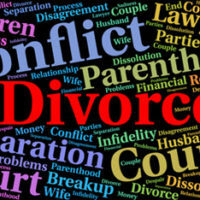 There are consequences if you choose not to follow the provisions of your divorce judgment. This applies whether you are not complying with court-ordered parenting time or if you fail to tender documents you are supposed to (such as tax returns). To avoid your ex-spouse filing a petition for contempt against you , you should review your divorce judgment on an annual basis as long as you are still under a routine obligation (such as payment of child support or following a parenting schedule). Once a divorce judgment is entered, this does not necessarily mean your divorce is over. Rather, you must make sure to take any necessary steps following entry of your divorce judgment to put your mind at ease and move forward with a clean slate. The experienced Winter Park family law attorneys at Cotter & Zelman, P.A. can help review your final judgment with you and determine any additional steps you need to take moving forward. Contact us today for assistance.